New Orleans Maybe in a weird, crazy way we are going to end up being able to find a silver lining in the dark cloud of the stark racism expressed recently by the Nevada rancher’s slavery bear hug and the Los Angeles Clippers’ owner’s snarling slurs to his mistress. How could progressives have picked more outstanding representatives of the dug-in nature of racism than a 20-year law breaking squatter refusing to pay the government for grazing his cattle on Bureau of Land Management property or an 80-year old billionaire with a record of racial discrimination settlements for discrimination in his apartment empire giving racist advice to his multi-racial Mexican and African-American girlfriend? You couldn’t order a present this good from Amazon even if you agreed to pay the shipping or find this on any aisle at Walmart’s among the 50,000 choices. Almost as if it were planned rather than a coincidence, a federal judge in Wisconsin has now struck down the voter identification law there because it violates the 14th Amendment and also because it violates the Voting Rights Act as racially discriminatory. In a 90-page opinion, he based his decision that voter ID’s are not only illegal because they were a solution looking for a non-existent problem, but also because he argued that 300,000 citizens in the state or 9% of the population, disproportionately made of racial minorities, were the people who lacked IDs and would therefore have voting obstacles. Wisconsin will no doubt appeal, and the Supreme Court will have trouble not taking such a case. Supreme Court Justice Roberts is making his living claiming that racism and discrimination are so yesterday, over and done, that we no longer need affirmative action, voter protections or much of anything else in his lilywhite imaginary world. But, now on the front pages day after day we have proof positive, way past all of the pretending, that there are deep veins of racism both among the high and mighty and the far flung and isolated, continuing to poison American life. Too many of the big whoops have been lured into believing that they can buy a safe pass to conceal their hate. 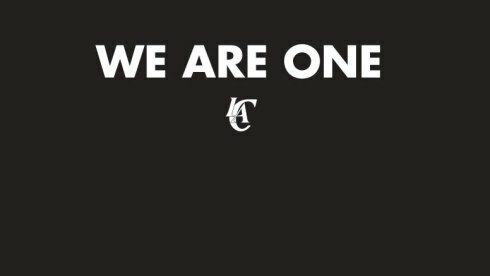 One of the most tragic side stories in the Clippers’ saga is the role of the Los Angeles NAACP in giving multiple awards, whitewashing the owner in what one columnist called a “cash for karma” exchange. The fantasy of current racial harmony may be over thanks to these bums. They make the reality of racism harder to ignore. Justice cannot be based on a Beltway myopia, but an understanding of what exists everywhere across the country. It also cannot be based on the way people pretend to operate, but what they really think, which is what determines what they really do. This entry was posted in Ideas and Issues and tagged Los Angeles Clippers, racism, supreme court, Voter ID by Wade. Bookmark the permalink.